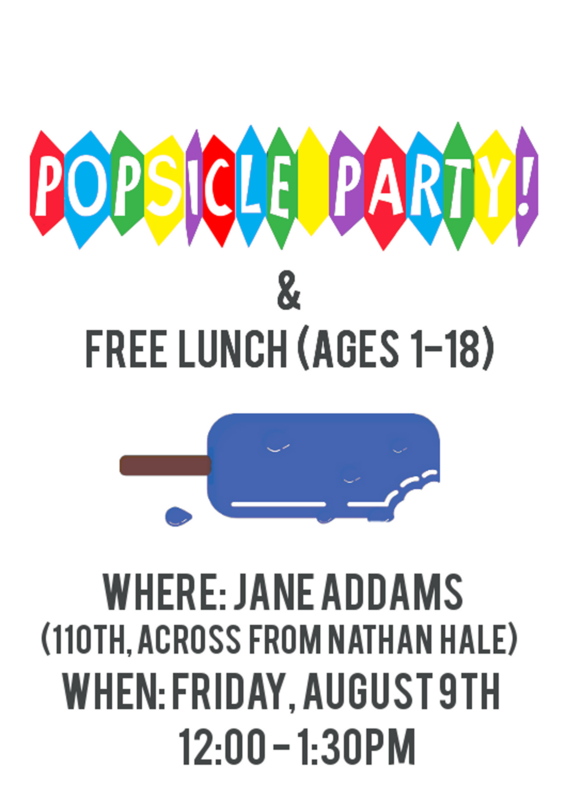 Hunger Intervention Program’s summer meal site at Jane Addams School will be having a Popsicle Party this Friday, August 9th. All kids are invited to join us for a free popsicle and lunch from 12 – 1:30 pm. Thanks to Tiki Pete’s Healthy Treats for the popsicle donation!